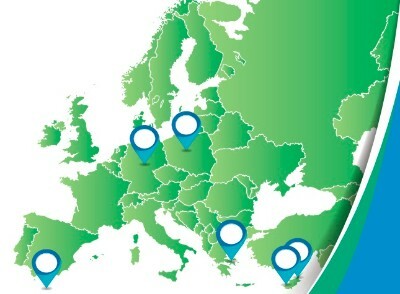 3 analytical reports, 15 focus groups in 5 EU countries, an extended on line survey in 5 languages, 4 consortium meetings and ongoing development of educational tools that will compose a comprehensive training curriculum in health communication have marked so far the second year of the H-Com Project. 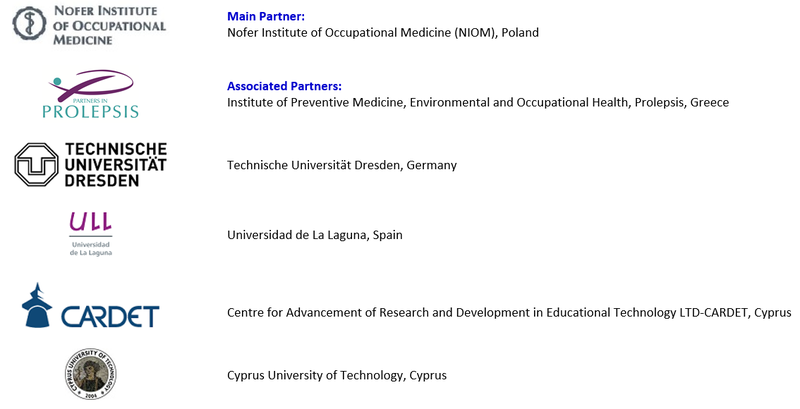 The existing situation regarding health communication training in Europe was explored and described through recording and analysing formal/non-formal educational programs and training opportunities, available at different degrees (such as short courses, postgraduate degree, continuing education). 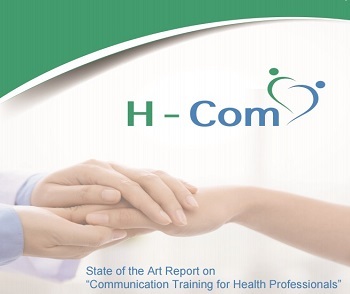 The State of the Art Report on “Communication Training for Health Professionals” provides a European-wide comprehensive overview of health communication education in Europe, analyses the needs and gaps and the existent barriers. The Report also suggests ways to develop and apply training tools and provides recommendations to improve patient-doctor-communication. The State of the Art Report is available here. A thorough review was conducted in all member countries and at international level using all available scientific and grey literature. This report presents the importance of Health Communication for the health professional – patient relationship, and it also indicates the needs, obstacles and perceptions of health professionals and patients regarding health communication. Read more here. The Focus Groups Findings Report: An in-depth research aiming to inform the development of professional-patient communication training. Through focus groups discussions with physicians, patients and VET providers in the five partner countries, the specific study investigated the perception, barriers, and facilitators to health communication as well as provided recommendations for future training. The Focus Group Findings Report is available here. 702 health professionals participated in the online survey indicating the great interest in the project and health communication issues. The study population included physicians (44.6%), nurse practitioners (40.6%), and other allied health professionals (14.5%). The report which is in the process of finalization will contain the main findings of the survey and important conclusions that, along with the focus group findings and the literature review report, will guide the development of the H-Com educational tools. 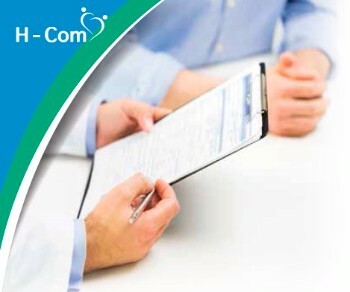 Handling patients with care, Consultation and Communication Skills, Understanding and managing Health Literacy, Interdisciplinary Communication, Ethical Issues, Communicating with patients with chronic diseases, Mental health issues and economically disadvantage, Communicating with specific groups (migrants, refugees, children & young people), Communicating about Prevention & Treatment, Communicating in difficult situations, ICT module for e-learning platform. 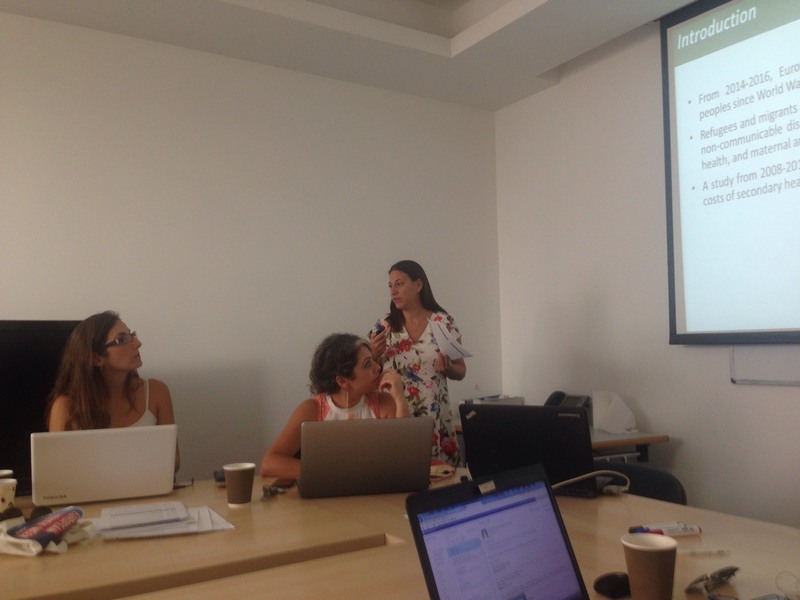 The modules were thoroughly presented as part of the “Train the Trainers” activities during the 4th partners’ meeting in Limassol (27-29 September, 2017). (b) an e-learning platform that will be available in 5 languages and will be launched in March 2018. Please visit the H-Com Website for information on the delivery of the training. The 4th partners’ meeting was held in Limassol, Cyprus from 27 to 29 September 2017. Train -the-trainer activities, organizational issues concerning the future workshops as well as the project’s progress and next steps were discussed. 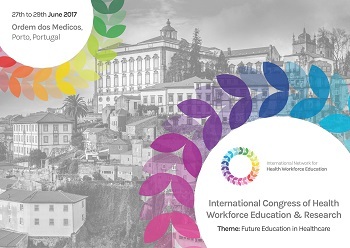 The H-Com Project was presented at the International Congress of Health Education and Research that took place in Porto between June 27 and 29, 2017. Visit the INHWE page for more information.